When you’re looking to grow your business and compete with larger companies, how do you educate the market about your brand, team and vision? 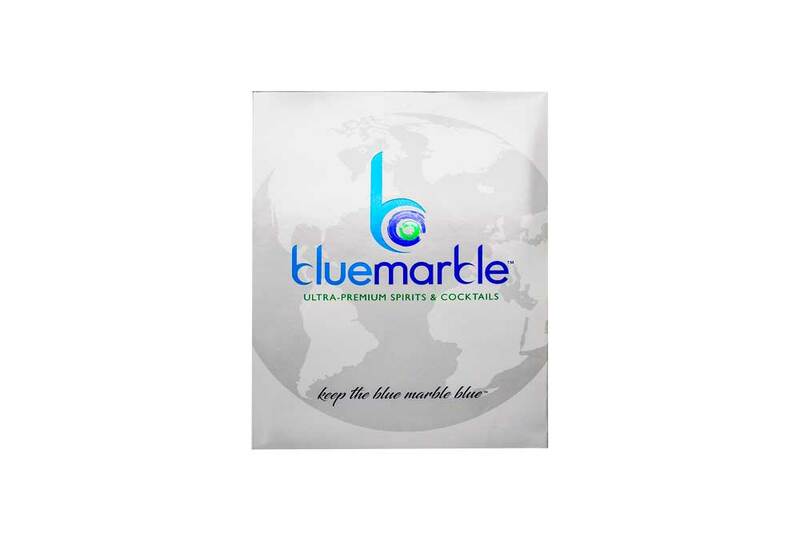 Americhip partnered with Blue Marble to create a deluxe Video Branding Brochure that shows what this company is all about. When your positioning statement is the “ultimate premium spirits and cocktails brand,” you had better back it up with impressive communications materials. And Blue Marble did just that. 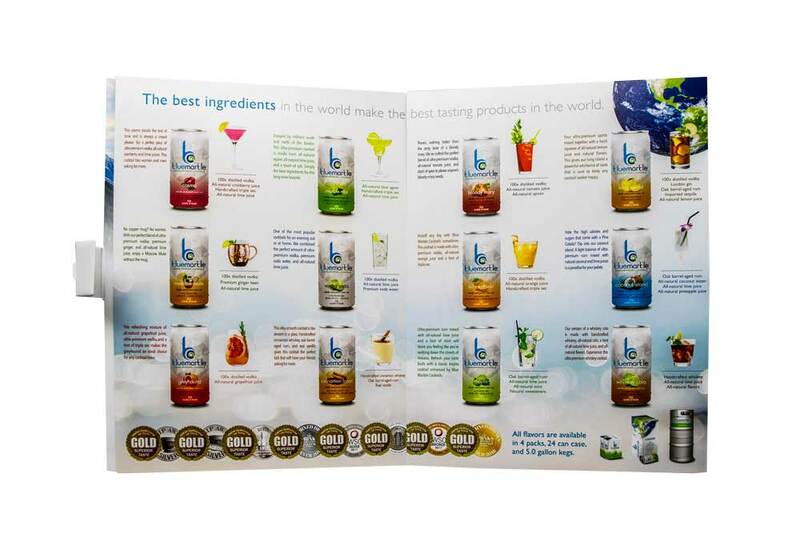 Our multi-page brochure includes a center-fold gatefold that highlights Blue Marble’s signature spirits and offerings. 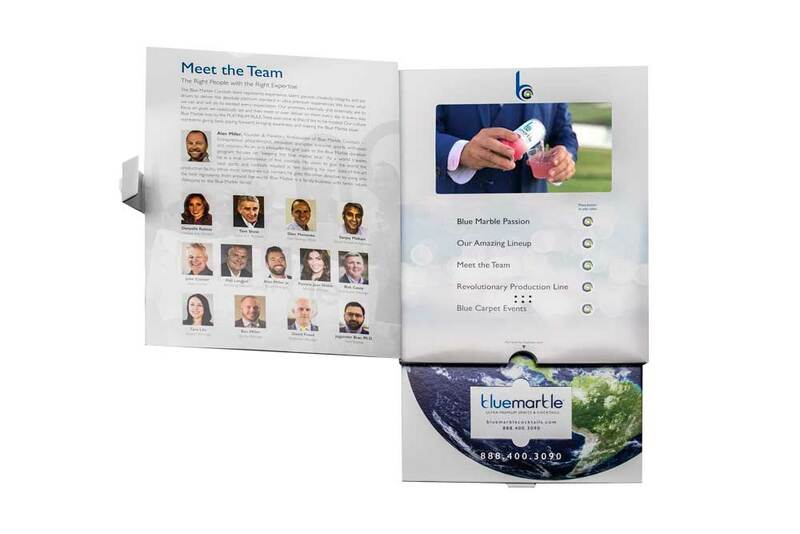 We then designed a rigid insert that slid out from the back panel containing the business card for each Biz Dev Rep. The final spread includes our patented 5” VIP Screen and 5 videos highlighting the unique passion and culture of this premium brand. When you’re looking to establish yourself in the marketplace, partner with Americhip to create a one of a kind Video Branding Brochure.